What a lovely evening we had in late September. 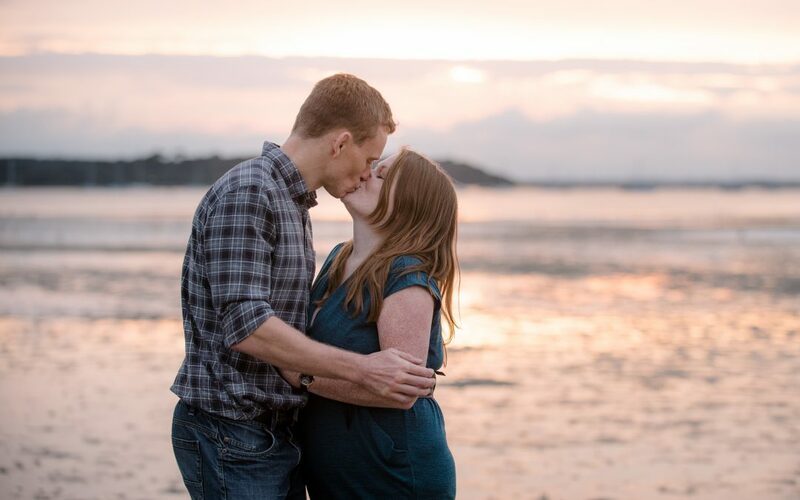 I met my lovely couple at Sandbanks and we went for a stroll, camera in hand whilst chatting about the wedding and what they can expect from their photography, what they are after and generally making them feel more comfortable in front of the camera, all the great things about a pre wedding shoot. We were hoping for a sunset but it was looking unlikely, then at the last minute the clouds broke a little to reveal the setting sun over Poole Harbour so we dashed over the road to get some more lovely photos we soon realised we were in for a treat so jumped in our cars and raced (very carefully of course!) round to get a different view across Poole Harbour as the tide was out. I am passionate about photographing sunsets and people so with the combination of the two I was in my element, my lovely couple humoured me while I danced around in excitement and just enjoyed having a moment together in the sunset by now completely relaxed with each other in front of the camera. with some lovely images to follow. Such a lovely evening. Can’t wait for the wedding tomorrow.